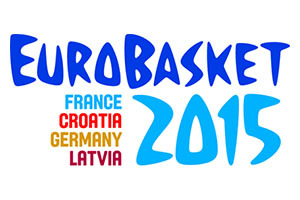 The day of the 2015 EuroBasket is finally here, and Lille in France is limbering up for one last showdown. Okay, the host nation will be involved in the battle for a bronze medal in the afternoon but all attention will be focused on the game that takes place on Sunday evening. Spain and Lithuania compete in the EuroBasket 2015 final and it could be a thrilling, if lengthy, night. One thing about a tournament like this is that it comes at the end of a pretty gruelling schedule. This will be the team’s ninth game in just over a fortnight and with Lithuania dealing with some tight matches during their eight games in 13 days run to the final, you can see why mistakes are made in these games. Yes, this is what basketball players have been building towards but with high stakes and tiredness involved, you can see why these matches are often decided by mistakes or moments of lethargy as opposed to the moments of magic that we all want to see. However, you cannot let these thoughts get into your head because this is when lethargy and tiredness really kicks on. Jonas Maciulis, one of the Lithuanian stars who lost in the last EuroBasket finals, knows what this stage is all about and he was speaking about the need to be big and to use the full squad. We have a lot of high-level players who have played in a lot of finals. It is going to be the small details on the court which will decide who is going to win. We have to put all our concentration, effort and power we have left in our bodies to give everything we can. As a Real Madrid player, Maciulis has enjoyed a phenomenal season, lifting four trophies during the 2014/15 campaign. His experience will be vital but if he can offer help to his team-mates, there will be plenty of people in the same position on the Spanish side. This is because Felipe Reyes, Sergio Llull, Rudy Fernandez and Sergio Rodriguez are all club mates of Maciulis, and they too have come into this match on the back of a tremendous club season. After this game, the focus returns to club basketball around Europe, so the foes will become friends once more, but on Sunday, Maciulis will be looking to make his team-mates miserable. I had little sleep after all the excitement and the truth is that the group deserved it, because we said the first day that a goal was the ticket to the Olympics. What Pau did was historic. Many of us thanked him, for everything he does for this team, because without him none of this is possible. The passage to the Olympic is important, and it is an aim that the Spanish have already achieved this tournament but now they have a chance to go one step further. The bookmakers think that the Spanish team will achieve success, and you can find odds of 1.41 for the Spanish to win. With respect to the spread, the odds of Spain with a -5.5 handicap are now available at 1.90, but as you would expect for such a big game, there are plenty of options at your disposal. You can take Spain at -3.5 at odds of 1.61 or if you fancy the Spanish to take this final by the scruff of the neck, you can find Spain at -9 at 2.50. Knowing how tight the Lithuanians have made their games this tournament, perhaps even taking Spain at -1.5, at odds of 1.90, is more your pace. No matter what you think the winning margin will be, there are plenty of odds available for you to choose from. If you fancy taking the Race to 20 Points bet, you will find Spain available at 1.52 while Lithuania can be backed at 2.45. For those that love to take the half-time/full-time bets, you can find Spain-Spain available at 1.86 and a Tie-Spain available at 21.00. If you think that there will be a turnaround story to enjoy in the final, Lithuania-Spain is on offer at 5.25 and Spain-Lithuania can be backed at 4.50. With winning margins, game total odds or even bets and winning 1st quarter totals already available, and with plenty of more prop bets sure to follow later in the day and for the in-play live betting market, the 2015 EuroBasket final provides plenty of betting opportunities for basketball fans. With the NBA and Euroleague a month away, this final game is going to be the last chance to really enjoy basketball betting for a few weeks, so if this is what you enjoy, this is the game to get involved with.